We came up with the design for Flax early in the collection. Jones is wearing a prototype in the Barley hat pictures. 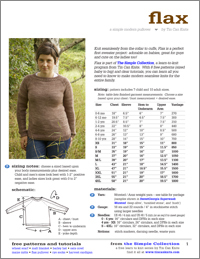 We have received many emails from knitters eagerly awaiting this sweater, and now the pattern is here! 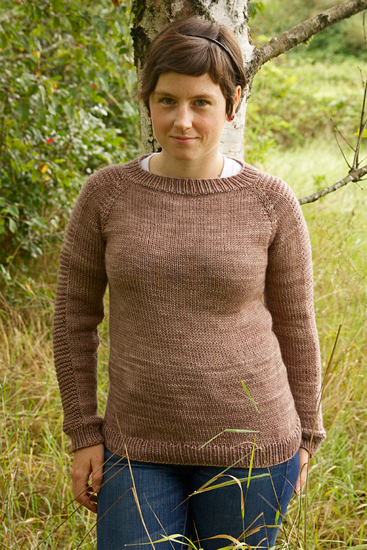 The Flax Pullover is designed to be a very simple first sweater. 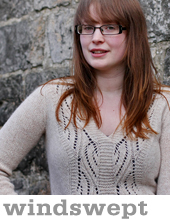 It’s knit from the top down with no seaming, perfect for anyone new to garments. 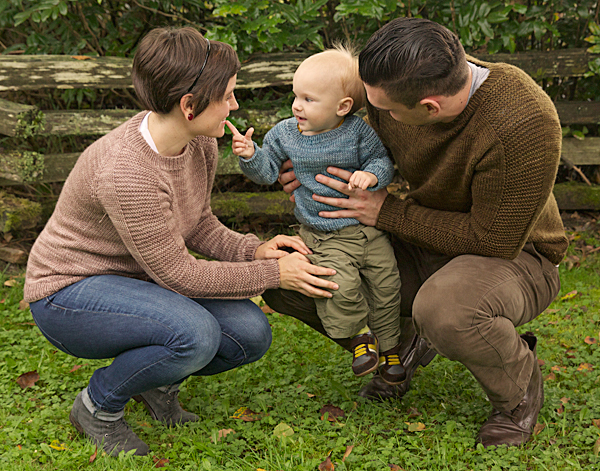 Whether you have been knitting for years or you are just starting out, the Flax cardigan has a wonderful simplicity of design that makes it perfect for the whole family. The combination of garter and stockinette also make this an ideal sweater to show off a beautiful yarn. This is it, time to knit your first garment! There is a little more pressure with a sweater to get the fit just right. It’s a lot more knitting so make sure to set yourself up for success by following our ‘choosing your size tutorial’, our gauge tutorial, and our ‘let’s knit a sweater’ tutorial. 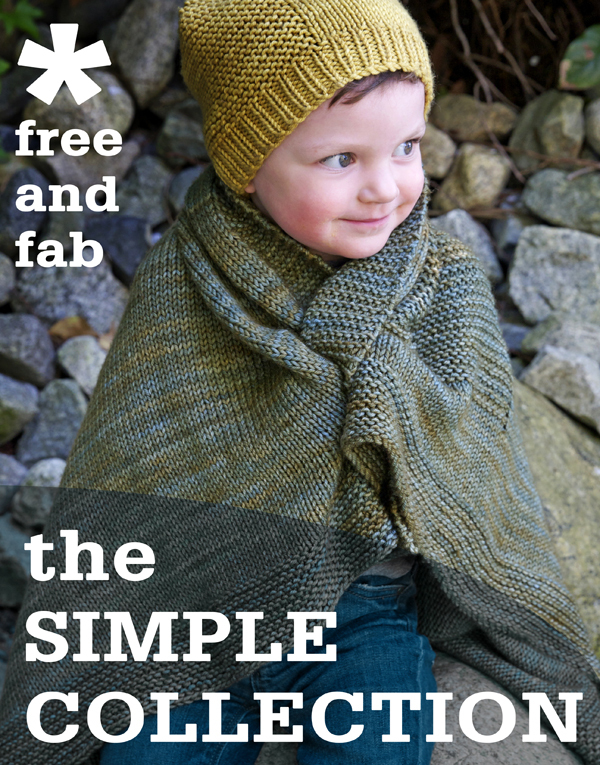 Pattern: Free Pattern – download now! Flax is knit in one of our favourite yarns, SweetGeorgia Superwash Worsted. It is hard wearing, machine washable and has a firm twist, and comes in amazing hand dyed colors (of course!). That’s a recipe for a timeless sweater that will last for years. If you are new to knitting entirely, used to knit but have forgotten how, or are looking to move past the basics, we have step-by-step tutorials on each of the techniques you will need for the Flax pullover. ‘Lets Knit a Sweater’ covers increasing for the yoke, separating body and sleeves, and sweater finishing techniques. Like the new Simple Collection? To hear about our new designs and in-depth tutorials as they are released, get our email updates! The Simple Collection is for sharing! Please help us to spread the word about these new designs by clicking the links below to share on facebook, twitter, or email to a friend. 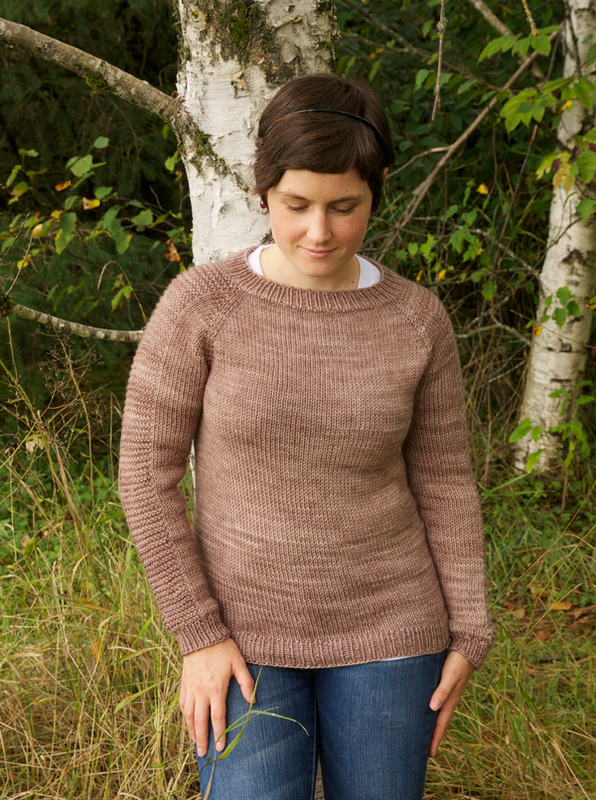 With 8 new free patterns (including 2 sweaters!) and clear tutorials, the collection is perfect for newer knitters building skills and confidence, and is also a treat for knitters who enjoy modern lines and simple details. 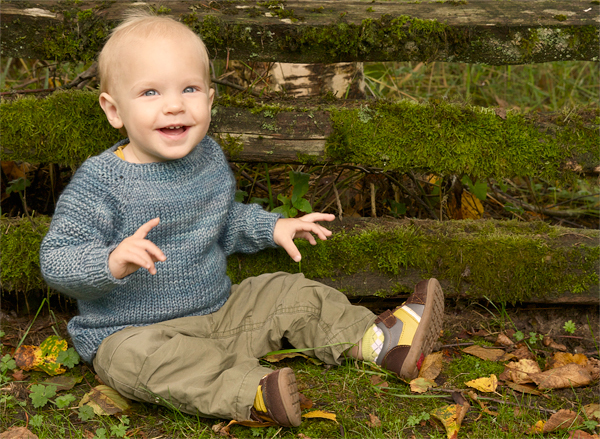 Whether you are knitting your first scarf, cozy socks for your dad, or a sweater for your little man, the Simple Collection will teach you all you need to know to make modern seamless knits for the whole family! Oh! I truly love your patterns and have made so many of them. 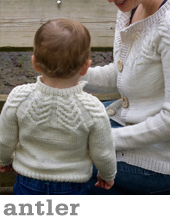 I am thinking this might be the sweater I make for at least one of my boys this year! Thank you for all your amazing creations. Un grand merci pour tous vos tutoriels qui sont vraiment d’une grande utilité…très clairs et bien mis en image.Thanks a lot for all your helpfull tutorials….